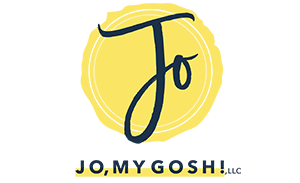 The Modern Military Spouse - Jo, My Gosh! About a year ago, my friends, JD from Semi-Delicate Balance, Lauren from The Military Wife and Mom, and I started out a pretty awesome project. Basically, we looked at the books for military spouses and significant others on the market and realized something was missing. I mean, really missing. Where were the books for modern milspouses and milsos? Where were the books about us? We started writing. And writing. And writing. 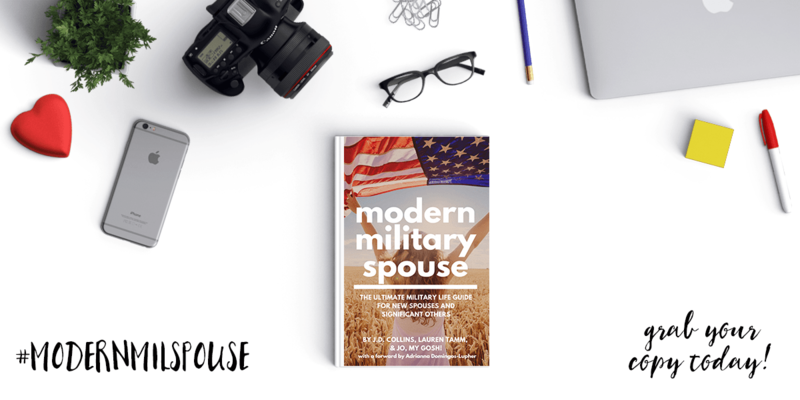 This book is one we wrote with you in mind: the modern military spouse. The spouse who doesn’t let the military stop her (or him). The one who has aspirations and dreams and interests that far outstrip where the military has plunked them down. The one who loves with all of his (or her) heart someone who is in the military. This book is entirely focused on sharing everything you need to thrive as a military spouse or significant other. It includes 14 comprehensive chapters, giving you a step-by-step guide for succeeding in military life. From keeping your relationships with far-away friends and family to PCSing across the globe to getting an education to figuring out what being a military significant other means to your life, we have you covered. We’ve simplified military life for you. 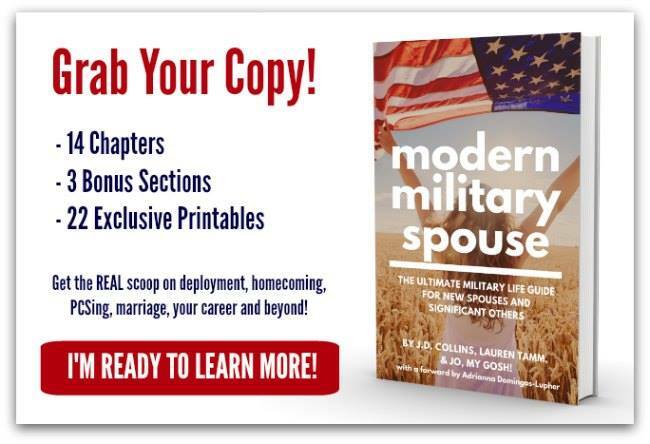 No other guide for military spouses is this comprehensive or tells it exactly like it is by military spouses who have been there. Interested? 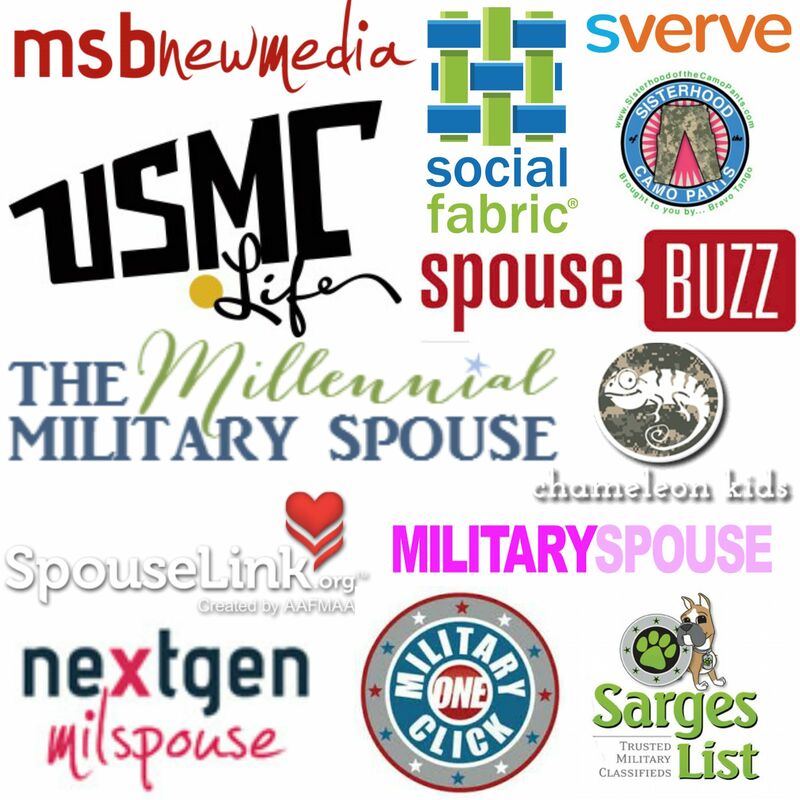 A complete list of military life resources, keeping things in one easy to use location. 20+ printables, documents, and checklists, including a week-by-week PCS checklist, a comprehensive deployment checklist, a getting married checklist, and a resume building checklist. Military acronyms, abbreviations, and terms defined and available at your fingertips. Lauren Tamm is a mom of two littles and military wife living overseas in Okinawa, Japan. She spends her days drinking infinite cups of coffee while chasing an energetic toddler around the house and soothing a baby. Jo is the author of the blog Jo, My Gosh, freelance writer and teacher. JD is young, married, with a beautiful baby son. She is the author of the successful blog Semi-Delicate Balance.